What if there were a magic bullet to fix our ailing planet? What if it meant seizing control of Earth’s climate? Clive Hamilton investigates the huge risks of reaching for desperate measures to save the planet, explains the science accessibly and uncovers the worrying motives of those promoting them. While Washington, London and Canberra fiddle, the planet burns. It has become painfully clear that the big democracies won’t take the hard decisions to halt climate change. Climate scientists now expect the worst, and they’re considering a response which sounds like science fiction: climate engineering. This means large-scale manipulation of the Earth’s climate using grand technological interventions, like spraying sulphur compounds into the upper atmosphere to reduce the amount of sunlight reaching the planet, or transforming the chemistry of the world’s oceans so they soak up more carbon. The potential risks are enormous: disrupting the food chain, damaging the ozone layer, the loss of monsoon rains in Asia – the list goes on. It is messing with nature on a scale we’ve never before seen, and it’s attracting a flood of interest from scientists, venture capitalists and oil companies. We have reached the end of the epoch of climate stability that allowed human civilisation to flourish, and the end of the era of ‘progress’. Like an angry beast woken from a long slumber, climate instability is dangerous and resists efforts to control it. 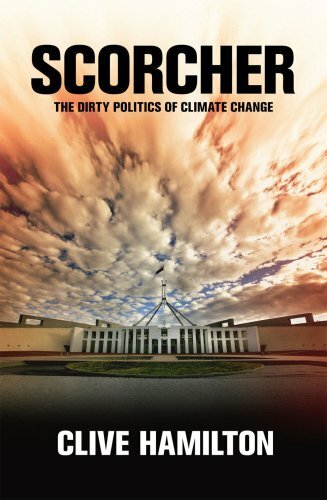 In his characteristically lucid and passionate style, Clive Hamilton spells out the implications for all of us. 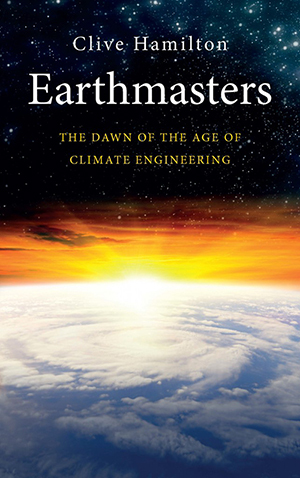 Published on 28 February 2013 in the UK and USA as Earthmasters: The dawn of the age of climate engineering (Yale University Press) and in Australia as Earthmasters: Playing God with the climate (Allen & Unwin).